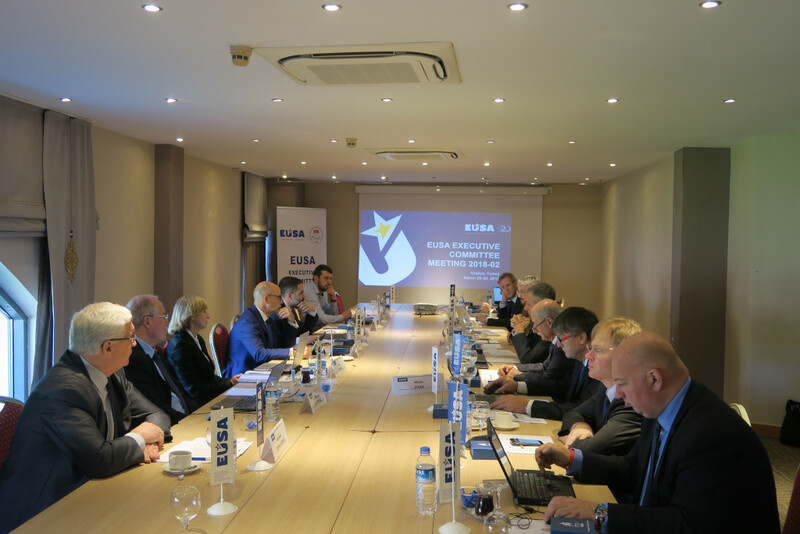 On March 29 and 30, Executive Committee members of the European University Sports Association (EUSA) and invited guests met in Antalya, Turkey. The first official meeting of the year was hosted by the Turkish University Sports Federation (TUSF). The participants were welcomed on behalf of the local hosts by TUSF President Mr Kemal Tamer, Vice-President Mr Mehmet Gunay, Secretary General Erdogan Celebi and their team. On behalf of the Executive Committee, EUSA President Mr Adam Roczek thanked the hosts for the hospitality and warm welcome and presented them a commemorative plaque. 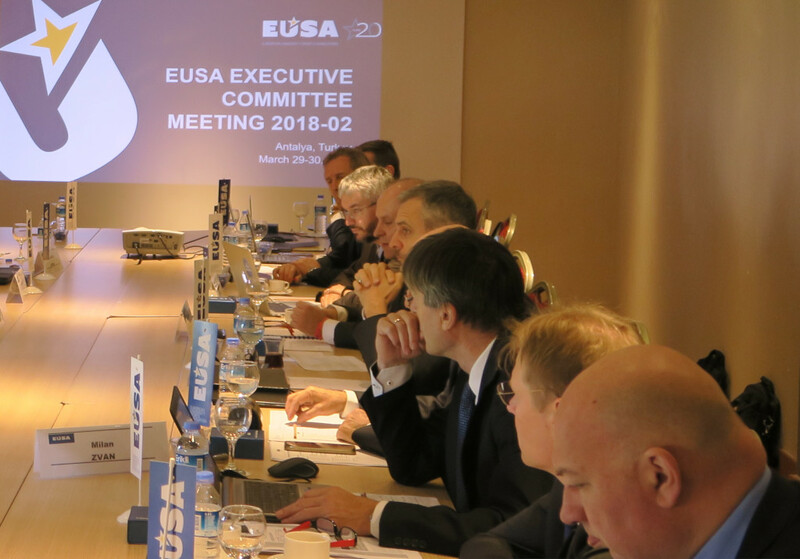 Executive Committee members first got acquainted with the reports of the EUSA Office and Institute, presented by EUSA Secretary General Mr Matjaz Pecovnik and financial report by EUSA Treasurer Mr Lorenz Ursprung. 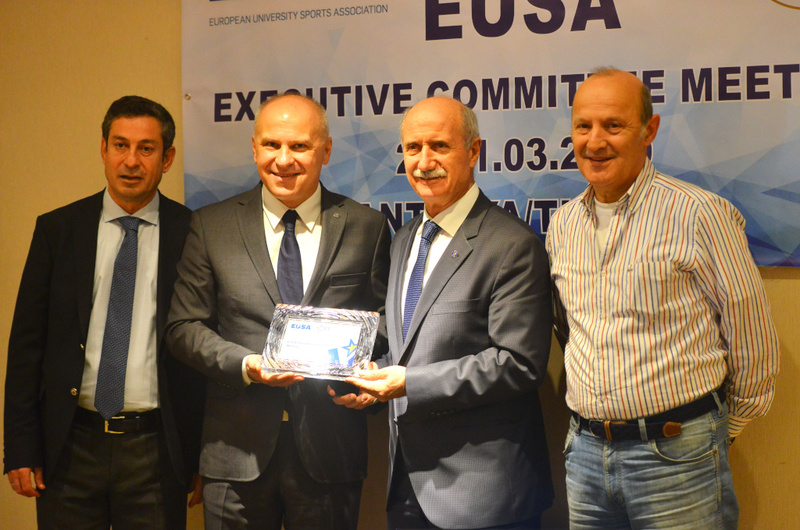 The past and future editions of the EUSA Sports events – Championships and Games were discussed next. 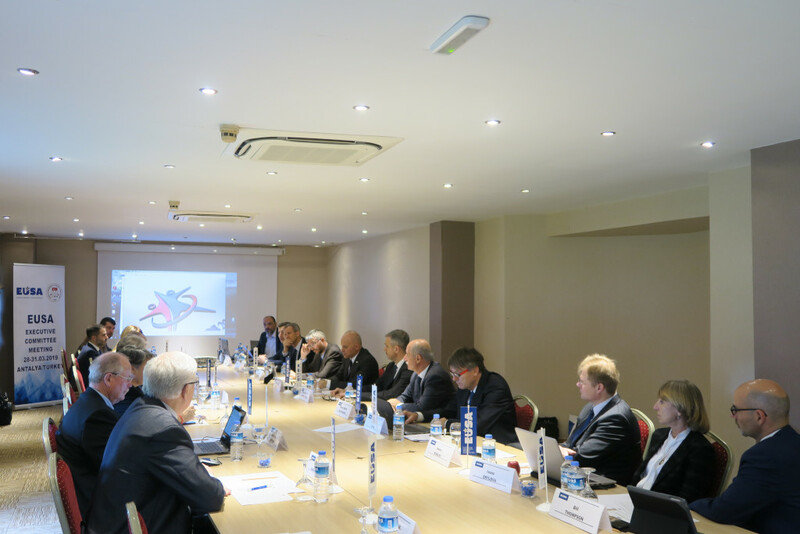 The Organising Committee of the upcoming European Universities Games Belgrade 2020 attended the meeting, presented the progress report and upcoming plans. The Serbian capital will host the 5th European Universities Games, which will take place from July 12-25, 2020. 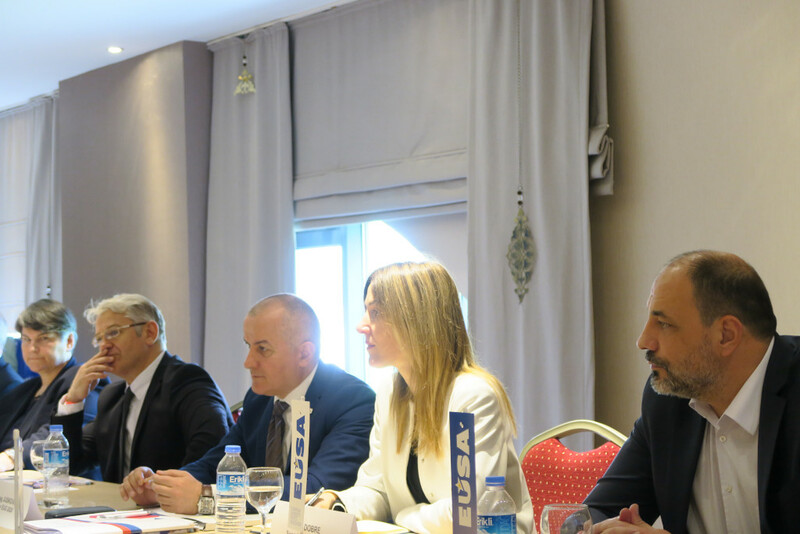 The delegation was lead by Director of the EUG2020 Mr Predrag Juskovic, and the meeting was also attended by the new President of the Serbian University Sport Federation (USSS) Mr Dejan Madic, Rector of the University of Belgrade Ms Ivanka Popovic and supporting staff. 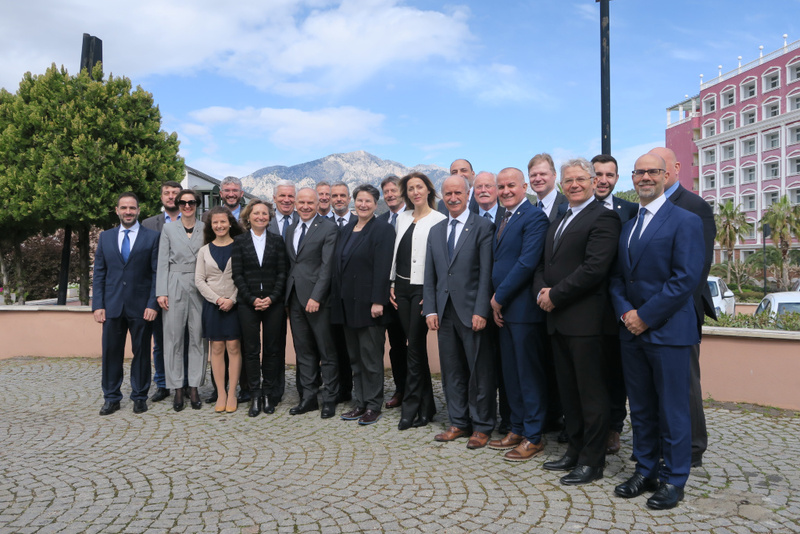 Executive Committee members were acquainted with the progress report of this year’s European Universities Championships. Sports programme includes 23 different sporting competitions taking place at 18 different events across Europe. The future editions of the 2021 Championships will be attributed in mid 2019. EUSA endorsed events and FISU University Cups were also discussed. 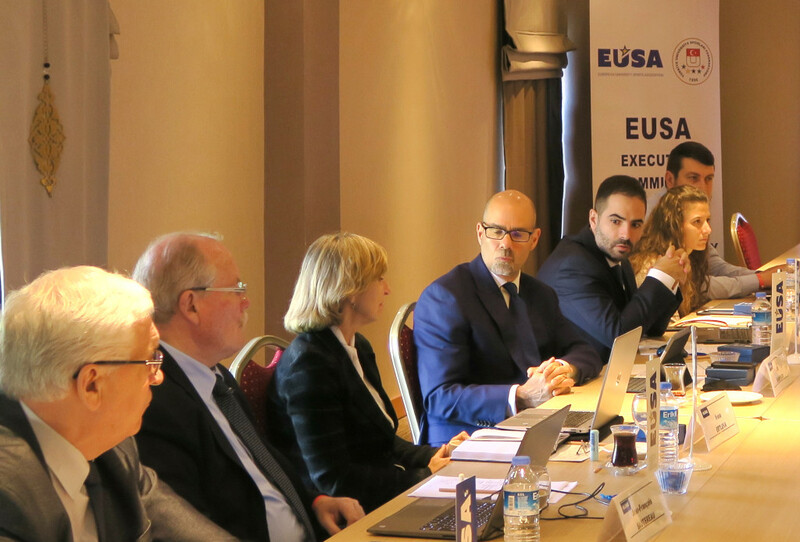 Educational events and meetings this year encompass FISU-EUSA seminar in April, EUSA Conference, General Assembly and Anniversary Gala in September, and the participants got an update on the preparation for these events, as well as for the next year’s General Assembly. Projects and initiatives supported by the International University Sports Federation (FISU) and the European Union through Erasmus+ programme were presented. EUSA through its Institute currently leads four EU-supported projects: Supporting Mobility and Good Practice Exchange in University Sport (UNISPORT), under EU Preparatory Actions Exchanges and mobility in sport; Empowered Nation (ENACT) and Promoting Dual Career through Education of Young Journalists (PRODUCE), under Erasmus+ Sport Small Collaborative Partnerships and Supporting youth volunteering in sport, under European Solidarity Corps (ESC). We are also partnering in several other projects in the field of promotion of education in and through sport with special focus on skills development, dual career, social inclusion and equal opportunities in sport. Reports of the EUSA commissions were also presented by their chairs and secretaries - Student, Technical, Equal Opportunities, Education, Media and Communications, Finance and Marketing; reflecting also on the measurements of the EUSA development strategy and internal regulations. Updates from member federations, FISU and continental federations, as well as partner and other organisations were also given. 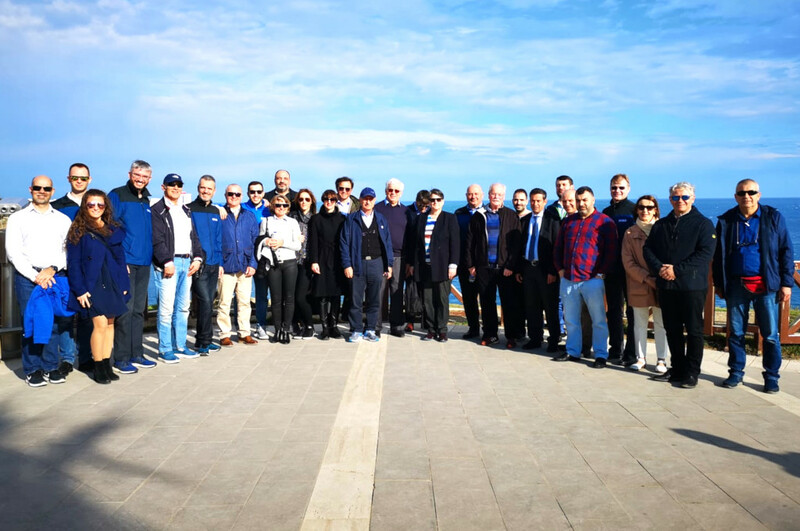 The meeting concluded with a sightseeing trip to Antalya, and the participants had the opportunity to experience traditional Turkish hospitality, culture and cuisine. 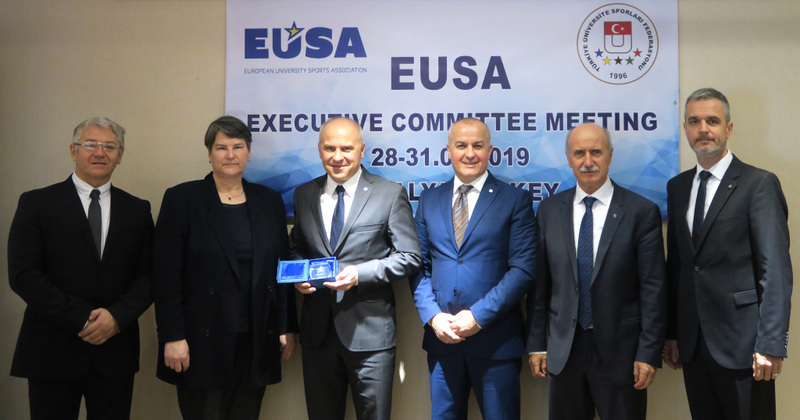 EUSA would like to thank the Turkish University Sports Federation and the International University Sport Federation for their support in organising the meeting.